“Our team has very talented and -experienced playes. 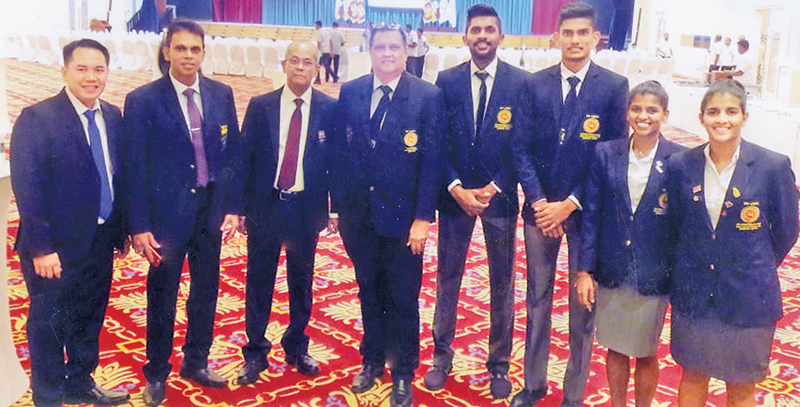 I'm quite sure our team will win medals and bring honour and fame to the country“ said Cooke at a discussion held at Kalutara, recently. “We are due to play Individual games on 23 Aug and Individual Matches are to start on Aug 18 and Team championships are due to begin on 20 Aug 2018,” he further said. Asian Games the second largest multi-sporting event, after the Olympics, is held once in four years and the most talented and experienced athletes from all the Asian countries take part in this world famous athletic event.